Guns N’ Roses kicked off their first-ever Las Vegas residency this past week at The Joint inside the Hard Rock Hotel & Casino. 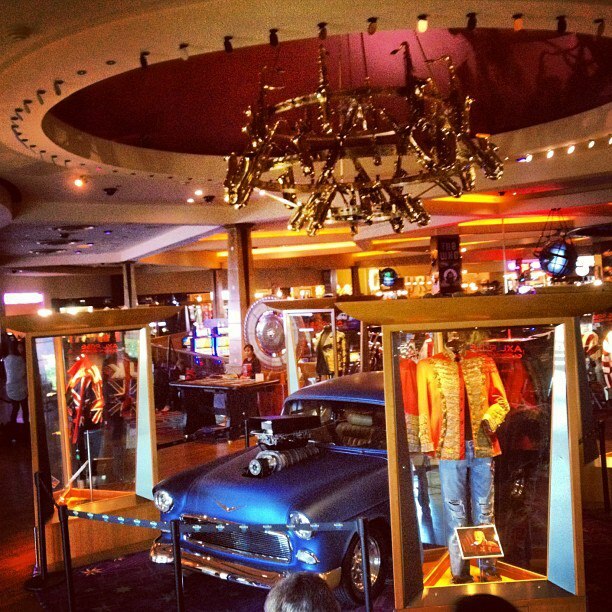 In sync with the band’s residency, the Hard Rock has completed the Axl Rose display on the casino floor. The display includes Axl's restored '55 Chevy Bel Air and the jacket he wore during GNRs' performance at the "A Concert for Life : The Freddie Mercury Tribute Concert For AIDS Awareness" on April 20, 1992 at London, England's Wembley Stadium. GNR will play a total of 12 shows in Las Vegas between October 31 and November 24.